The focus of the CV Preschool is to help children become enthusiastic learners. We provide a safe and fun learning environment for children ages 3 - 5. Our curriculum identifies goals in all areas of development including social, emotional, physical and cognitive. The Child Development classes at Crescent Valley High School integrate a preschool (children 3-5) into their curriculum 2-3 days a week. 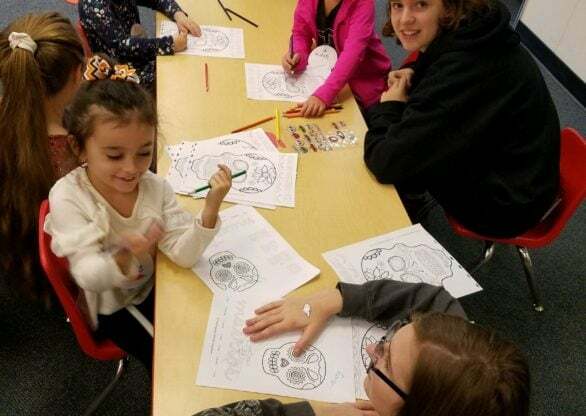 We believe this program serves to provide a positive learning experience for both high school students and preschoolers. All preschoolers must be 3 years of age and have independent toilet skills. No pull-ups or training pants are allowed. The CV Preschool is located in the back of the school near the football field. We now offer two preschool options for families. We have one AM preschool that runs for 3 hours a day and one PM preschool that runs for 2 hours a day. Preschool begins the end of September and runs until the end of May.